I am enormously grateful to you (Mama Gums!) for your quick and compassionate response to my outcry for help when I found myself lost and bewildered in the midst of a serious threat to my dental health. The respect and care and support you've given to me in your most kind, understanding, and professional manner has allowed and encouraged me to pursue my path back to dental health with knowledge and dignity. The oral wellness coaching I received from Sheila gave me vitality, important information, and techniques that I will carry with me for the rest of my life. Not only was the information badly needed for my health and well being, it was given with the utmost kindness and concern. After my consultation with Sheila, I felt a great sense of relief, joy and confidence that I can now properly care for my teeth and gums, have a strong, healthy mouth for my lifetime, and also avoid $6700 in gum surgery that I was previously told I needed. Sheila helped me understand how to work with my situation without resorting to surgery, which gives me a lot of hope. The methods we discussed make a lot of sense, and I found her many years of experience to be very valuable. She answered my many questions explaining things very well. I found Sheila to be very supportive. Sheila is passionate about her mission: teaching people how to keep their teeth for a lifetime and improve their overall health. 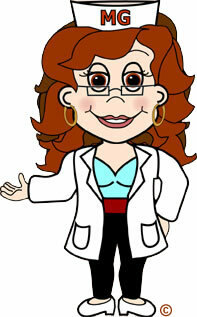 Her books and website explain a simple, inexpensive non-surgical approach to oral health. She helped me avoid oral surgery, which two periodontists insisted was my only alternative. More than two years (and no surgery) later, my gums and teeth are healthy and I should be able to keep them that way thanks to Sheila. I just finished reading your book, "Your Mouth Could Be Killing You." I have been reading many books on dentists and care of the gums and teeth. Your book speaks directly to the person who is desperate for help and needs down-to-earth, practical, and efficient advice. Your simple explanations and diagrams are extremely effective and easy to understand and implement. What’s missing for me is how to find the dentist who truly shares your love and belief in this protocol and who will provide an honest and caring evaluation. Thank you also for your valuable consulting. I appreciate your help more than I can ever say. Thank you so much for taking the time to educate both of us (and our family indirectly) on the wisdom of keeping one's mouth as healthy as possible. We appreciated your patience and care in teaching us on how to win the war against the invasion of foreign organisms - from a totally new paradigm. I realize that the choice is now mine to "take it from here" in the health of my mouth and my expectations were more than exceeded on our visit. Thank you again.